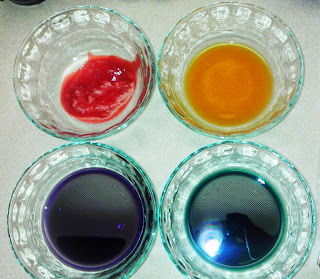 Homemade Food Coloring for Colorful Spring Cakes! 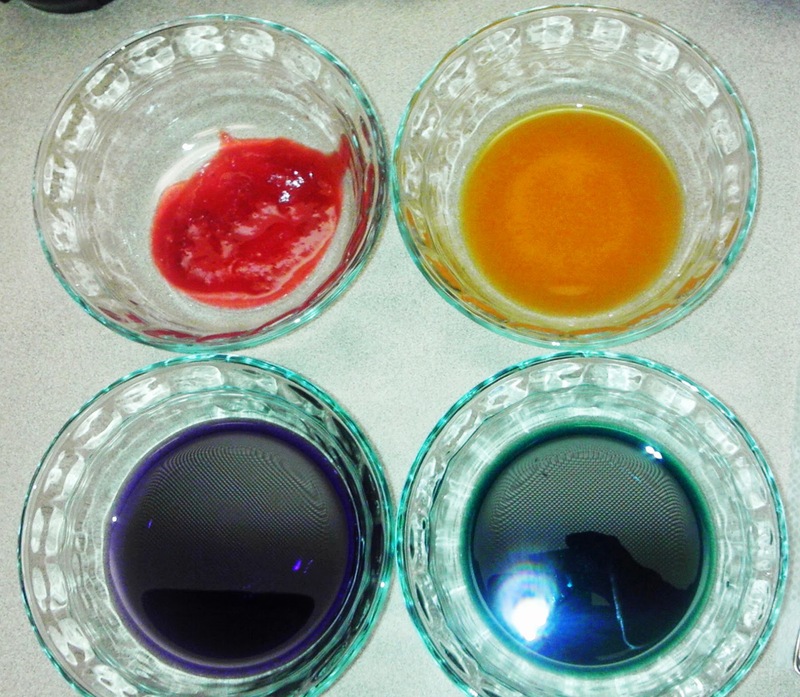 Natural Homemade Food Coloring For Baking, Frosting, and Easter! How To Make Sprinkles for Cupcakes, Cookies & Cakes! I couldn't use some of them as-is, since we can't use eggs, or certain other foods, etc., but these sites helped me piece together a plan. 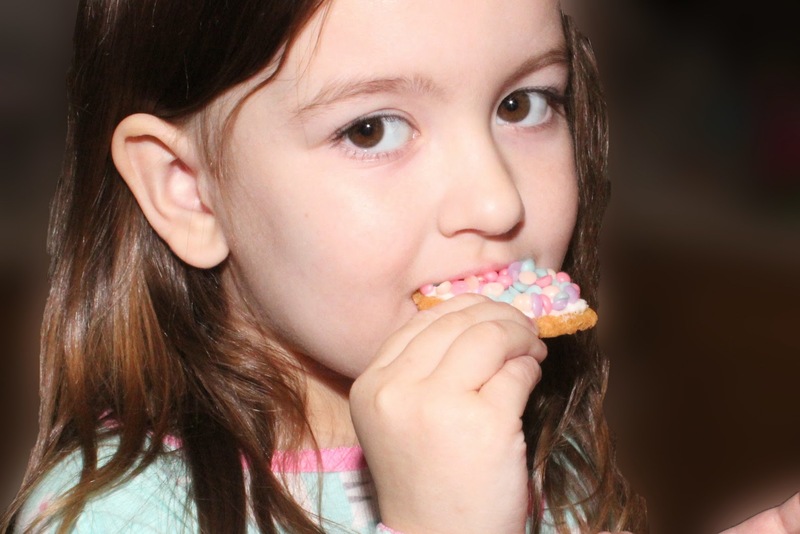 We had the ingredients on hand to make 4 colors: orange/yellow, pink, purple and blue. We made pink by mashing raspberries through a fine strainer. The orange/yellow color was made by pureeing carrots and extracting the juice. I don't have a juicer, so I just used my daughter's dedicated small blender and then squeezed the carrots through a cheesecloth. For the purple, we boiled some red cabbage and took out the water from the pot. (Why is it called red cabbage, when it isn't even red?) For the blue, we followed the "science-experiment" instructions, adding a bit of baking soda to the purple cabbage water and it magically turned blue! I decided to use our newly created natural dyes to make homemade sprinkles. Following the IAmBaker.net recipe, I mixed together powdered sugar, rice milk and light corn syrup. (I believe you could substitute brown rice syrup, if needed.) I then separated the mix into small bowls and added the colors. 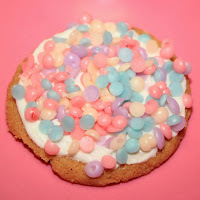 I think I made my icing mix a little too thin, because it came out very quickly, but I managed to drop dots onto my cookie sheets, covered with parchment paper. I just put the icing into small snack-size zipper storage bags, and cut a tiny hole in the corner. It took a full cookie sheet for each color. They took a few hours to set and I used a small, metal spatula to pop them off the parchment paper. I will say that I was surprised at how little my yield looked, once I gathered them all in the small cup, but they sure looked pretty! The colors definitely came out pastel, but I think that is to be expected with many of the natural food colorings. Even though it was a bit of work, we were both really happy with the results! These are beautiful and oh so fun! 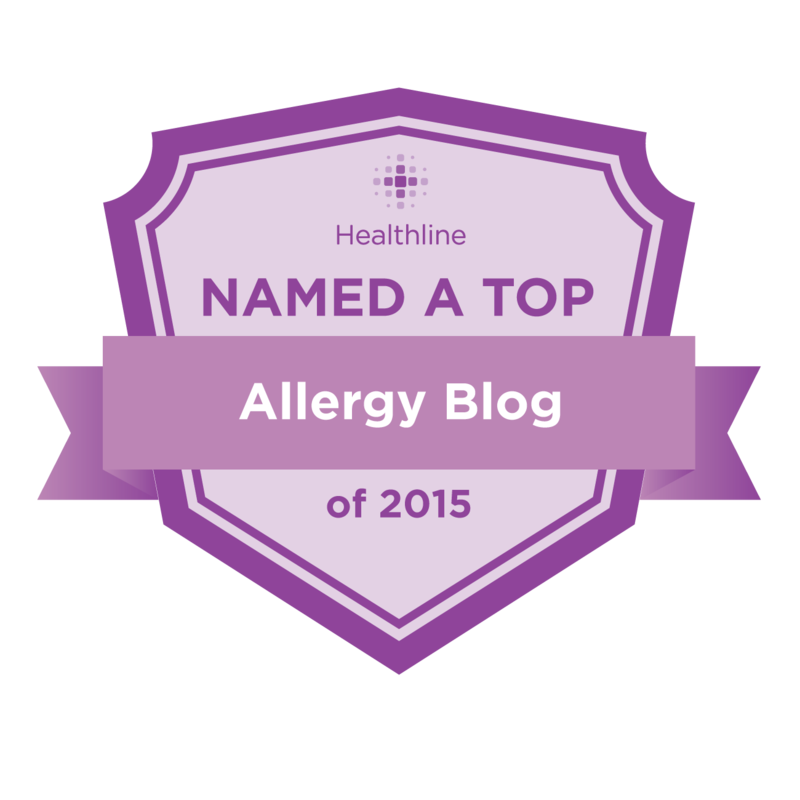 I love your test kitchen adventure (I wish more of mine would turn out!). By the way, one of our undergrad biology labs involves boiling red cabbage to use it as a pH indicator. Lysol Air Filters Discount - Extended!